We often get asked how we handle packing up our stuff so frequently and carting it around the world. 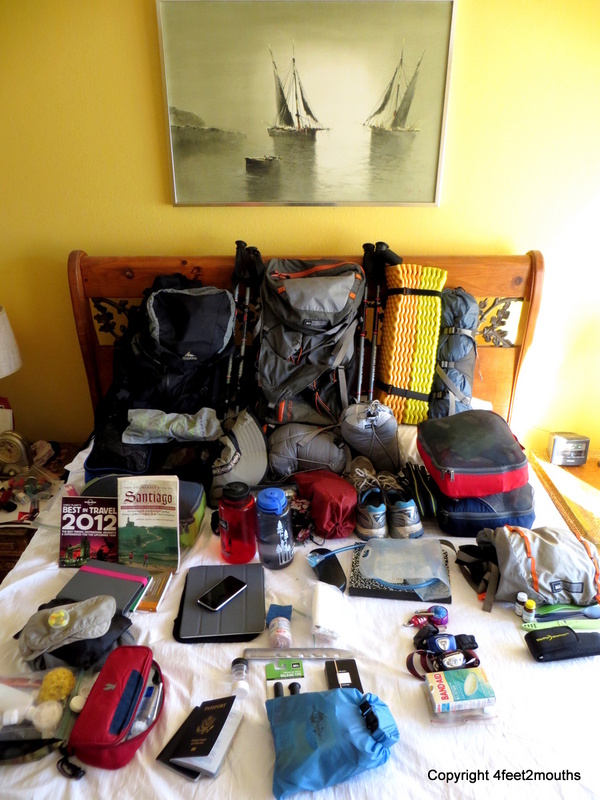 The answer has two parts – 1) Packing cubes! These are essential to for quick organization and way easier than any rolling method. 2) Take as little as possible. Easier said than done. But the benefits of being able to pack in under 15 minutes and have less weight on your back are very rewarding. In order to make do with less I like to plan ahead. For the typical travel stuff I have a list I always turn to when I start packing. As for clothing, I have given a lot of thought to what I will bring for the next 6 months. I have to be ready for everything: hot and cold, tough hikes and long urban walks, casual bars and nice dinners out. To cope I’ve created what I call The Ultimate Packing List. I’ve even illustrated parts of it (yes, Nathan teases me about this). I enjoy making the list because it makes me feel more prepared and ready to take on the world. Great list! Excited to see the list in action in India soon! After 10 days of carrying the tent, we decided to send it home. Camping between grapevines and in the forests of Spain was wonderful, but carrying an extra 12lbs was not. With aching shoulders, throbbing feet and hips rubbed raw I had to admit that it was too much weight. The aubergue hostels are just too accessible and inexpensive to make carrying a tent fully worth it. Now we are zipping along.